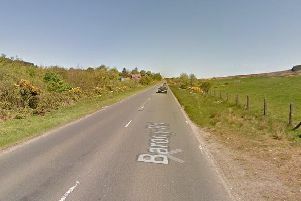 The Windmill Road near Black Lough has been re-opened by police following a single vehicle RTC this morning (Thursday). There were reports on social media that the road was closed, with officers at the scene. The damage-only RTC took place around 8.35am, blocking the road, but a spokesperson for the PSNI said the car has now been cleared away.